Needless to say, this is CRAZY frustrating. I’m not sure yet what I’m going to do going forward. At some points I just want to quit running altogether, but then I think about how much I love to run and race, and realize that I have to at least try and get past this cycle of injuries. Part of me is thinking about just shutting it down for the rest of the year, and maybe cranking up the full P90X again. Whatever the case, my hope to run NYC for 2013 is done. What a difference a day makes. Last wednesday I posted about trying to push through with my hip injury to still be able to line up in NYC this November. Well, the very next day I attempted a tempo run with Nathan, and it was a complete bust. The pain started radiating down my leg from the first step and never let up. I got through the tempo section by gritting through the pain, but eventually had to stop and walk back to the car. I’m going to take at least the next two weeks off from running and see what happens. Not sure yet of whether or not I’m gonna go see the MD again, or even who I would go see if I decided to go that direction. Just really frustrated with not being able to run, and about the prospects of not being able to run in NYC. This has been a tough two weeks for me personally, and I’m now without one of my primary emotional outlets. This has also been a rough 12-months from a running perspective. I’m now on my third significant injury in that period of time, and this one comes after making some drastic changes in my training. Beast Mode is definitely not ON. However….I do know that this is really insignificant in the grand scheme of things. I am a very blessed man. While running has been pretty insignificant in the grand scheme of things this week, I have gotten in a couple of runs since my injection on Monday. 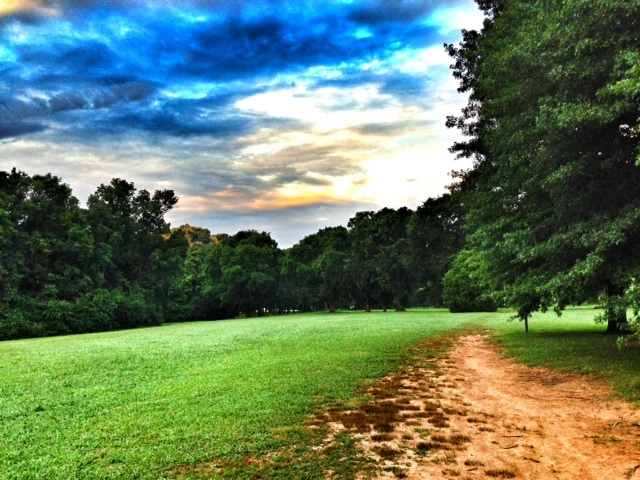 Yesterday morning I did a very, very chill 6.25-mile run with Paxton on the Harpeth River Greenway. The temperatures and humidity were absolutely perfect, and the run was quite enjoyable with my friend. Overall my hip felt a little stiff and sore, but no pain to mention. There were only three of us that participated tonight, and I ended up running most of the intervals with Hannah. I lagged behind her quite a bit on the 400s, because I was trying to be very conservative. However, by the time we got to the 250s, things were finally starting to loosen up and I was able to keep up. All-in-all I felt really good, and my hip seems to be holding together pretty well. It is still really tight, but no noticeable pain so far. At this point I’m pretty pleased with the results of the injection, but the real test will come Saturday when I try my first long run. Hoping things will hold together well enough that I can still toe the line in NYC this fall. I went to see my ortho yesterday, and he diagnosed me with IT Band Syndrome in the hip along with possible Trochanteric Bursitis. The good news is that this is all “soft tissue” in nature, and he does not think that the injury involves bone or the hip joint itself. He gave me a cortisone shot in my hip to try and calm down the inflammation, and the goal is to be back running by tomorrow morning. He told me that the cortisone would take about 24-hours to start working, and then I could be back running in 48-hours. It is interesting how sore my hip is today, but I’m guessing this is mostly from the shot itself and not from the inflammation. I’m pretty nervous about how my hip will feel getting back on the road, and know that I have to really buckle down on doing my glute and adductor exercises. I didn’t realize how intense the side effects would be from the injection, since it is localized. I’ve always hated taking a Prednisone dose pack, because of the way it makes me feel, and this is very similar. I’m constantly hot and feel like I’m hyped up on caffeine. I could not fall asleep until about 4am this morning and then had to get up around 6am to take my daughter to school. Hope this doesn’t last too long! Anyway, I hope to post another update after my first run tomorrow morning. Well….these days it just seems like I can’t keep myself off the bench. After taking 4-days off due to hip pain a couple of weeks ago, I’m back on the bench again with the same problem. I tried running at track last night, but quickly noticed that I was altering my stride to compensate for the discomfort. This caused me to bail less than halfway through the workout. One of my running friends, who is a Nurse Practitioner, said she was pretty confident it was hip bursitis. I hope she’s right, and that this can be taken care of with a cortisone injection. Whatever the case, I have an appointment with my ortho on Monday to see what is going on. My plan is to stay off the road until then. I probably ran most of these splits too fast, but did remain fairly consistent all the way through. Ideally I like to get in at least 2-miles warm-up before doing the stride-outs, but I was running late due to work responsibilities. Happy that my hip felt decent throughout. I was quite nervous about being able to finish this one since my longest recent run has been 13.5-miles, and that was on fairly flat terrain. The humidity was tough, but we ended up getting quite a break in the temperatures, which never left the low 70s. I ended up feeling better during the second half of the route than I did during the first. My strategy throughout was to take it VERY easy on the downhills (to protect my legs), and push a little on the uphills. The best I felt all day was during our climb up 3-mile-hill in Percy Warner (was 13th mile on this run), and during the last mile where I tried to finish with a much quicker pace. Again my hip felt great throughout, and I was surprised at how good I felt overall throughout the run. I had never started the 16.5 from anywhere other than the main gates in Percy Warner, but this proved to be a nice change. Unfortunately, my hip was very stiff after the long run on Saturday. This slowly subsided throughout the run, but it was more bothersome than it had been in several days. Overall though it was a good shakeout run on a nice, soft surface. Wednesday is normally an off-day, but since I didn’t get to run on Tuesday, I decided to do a run this morning. I wanted to get in 8 to 10 easy miles, but for some reason I let Nathan convince me to join him and some other friends from our group (Dan, Dawn, Mary, Lesley) to do the 11.2 this morning. I’m no meteorologist, but I’m pretty sure the humidity was around 7,454%. I don’t think it is possible for the humidity to be any higher without it actually raining (it did rain before and after our run). Nathan and I commented several times that the moisture was so heavy in the air that it looked like we were running through the rainforest. Nathan even said that he half expected a T-Rex to jump out since it looked like Jurassic Park. Anyway, this humidity was suffocating, and I slowly wilted throughout the run. Things felt ok for the first 6 to 7 miles, but then I just hung on for dear life the rest of the way. Dan had started early from a different spot, so he finished within the first 4 miles of the loop. Once I started to fade, Dawn, Mary, and Lesley pulled away, but thankfully Nathan stayed with me. I know he could have easily kept up with them, but there is no way I would have finished without walking had he not hung back. All-in-all it wasn’t the best run, but I’m glad to have finished. My hip was still bothersome, but at least it didn’t affect my stride. Hopefully I can get it really stretched out before track tomorrow night. Well….this time last week my left hip was so bad that I didn’t think there was any way I would be back on the road for week 15. However, this morning was my third straight day to get a run in, and so far things are holding together pretty well. I really focused last week on doing strength and stretching exercises for my core and hip, and on Sunday the pain started to slowly subside. I was still pretty achy after Monday’s 5-miler with Nathan on the HR Greenway, but nothing like what I was dealing with last week. I didn’t get to run yesterday morning due to getting home around 1am from a concert, so I did a 4-mile run yesterday afternoon, in a steady rain, on the Vaughn’s Gap Cross Country course in Percy Warner Park. I actually ran this in my Saucony Hattori shoes, which is the first time I’ve taken them off-road. It turned out to be an awesome run. I felt extremely light on my feet in the grass, and my hip felt great throughout, with minimal aching afterwards. Once I got home I put in another 30 minutes doing some strength training. This morning Nathan and I got in 6.5-hilly-miles through Percy and Edwin Warner Parks, surviving a few downpours later in the run. Again my hip felt good throughout, though I’ve had a little more aching today than yesterday. Even with that, I’m very happy about the progress. Getting fired up again about my training after the disappointment last week. NYC Marathon Training (Week 14) – Back on the Bench…Again! Well….I was hoping to be able to run through this nagging hip problem, but I realized last night that is is unlikely to get better without taking some time off. To that end I’m going to shut things down for at least a week and hope that it does not end up being longer than that. 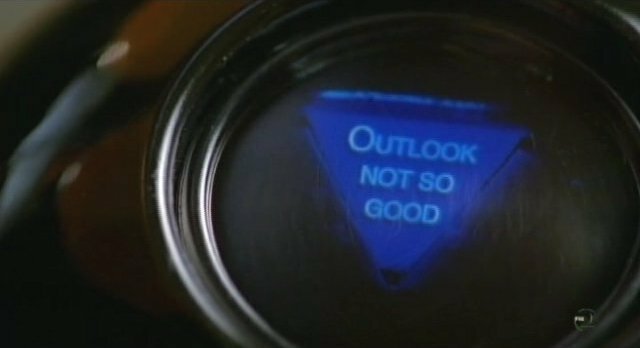 With my recent injury track record, I’m really nervous about what this means for New York. Now I need to decide whether or not go and see my orthopaedist now or wait until after taking a week off. I really hate to wrack up more medical expenses related to running if I can avoid it, but I also hate not knowing for sure what is going on. Anyway, prior to shutting it down this morning, I’ve completed two runs since my last post. One was a group tempo workout last Saturday in really nasty humidity. The plan called for 80 minutes of tempo intervals, though I only made it through 54 before I had to stop. I still got in over 10.5-miles of work. Yesterday, Nathan and I did 6+ miles of trails in Percy Warner Park in the rain, and my body felt trashed the whole way. I eventually told Nathan to go on without me because he was looking strong. I finished the run, but there was very little enjoyable about it. After such a good start of the week last week, this week has been a bummer so far. Looking forward to brighter running days ahead. Nathan and I hit the trails in Edwin and Percy Warner park to get in a few off-road miles. We started with the Blue Trail in Edwin Warner, and added the short Yellow and Orange trails to add a little distance. My legs were definitely pushed to the max on the steep climbs, but I made it all the way through without walking. After a quick fluid stop at the Nature Center we hit the Candy Cane Connector Trail in Percy Warner, and then did a loop on the Vaughn’s Gap Cross Country Course before returning back to Edwin Warner on the Candy Cane Trail. We got in a little over 6-miles, and my legs felt pretty good throughout. It was crazy humid, but for some reason it didn’t really bother me after I got through the warmup. I started off the intervals fairly conservative, but picked up the pace as my confidence started to grow. For example, my 200m splits during the 250m intervals, were faster (39/40 sec) than during the 200m intervals (43 to 46 sec). In total I got in just over 8 miles, and more importantly re-gained a great deal of confidence that was lost last week. Still have a LONG way to go, but it is nice to have a good night at track. The Bellevue Trio Returns!! Paxton has been nursing an injury for the past few weeks, and today was the first day in a while that all 3 of us did a run together. We did a 4-mile recovery run through Bellevue using 10 / 1 run-walk intervals. My legs were pretty toasty after the track workout, but we kept the past very chill, and it felt good. About to head-out for an evening 2.5-mile run/walk on the White Trail at Percy Warner with my girls, and then tomorrow we have a group tempo workout with 10 to 11-miles of Marathon Pace intervals. Should be a good challenge. Today I finished off week 12 in my training for the 2013 New York City Marathon with a great 13.5-mile run in East Nashville, Shelby Park, and the Shelby Bottoms Greenway with our running group. One of the things that made it great was getting a very nice break in the temperatures. When Nathan and I got out of my car by the train trestle in Shelby Park, it was only 62° with humidity that was not too terrible for July. 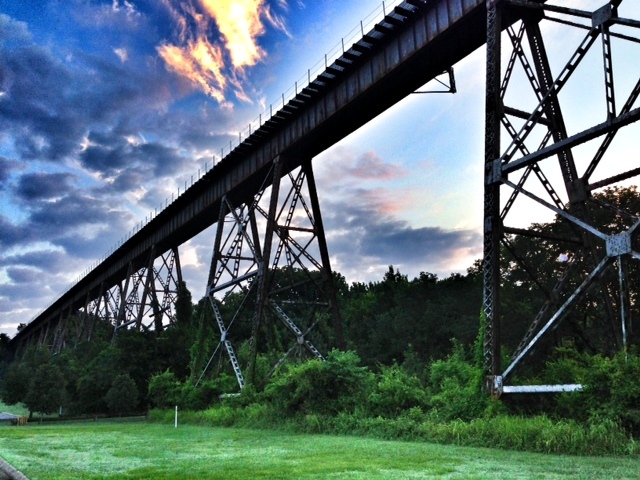 The train trestle in Shelby Park just before this morning’s group run. Before the group all arrived for the run, Nathan and I got in 1/2-mile warmup out-and-back to the Shelby Bottoms Greenway Nature Center. Our group then started with a 4-mile loop that incorporated a couple of laps around big pond in Shelby Park and a short distance on Electric Avenue. 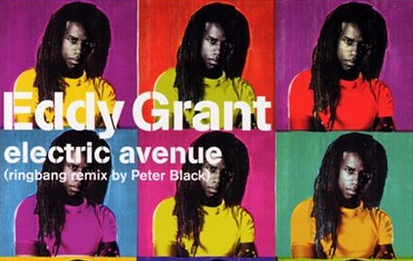 On the way to Shelby Park, Nathan and I prepared for the run by listening to the song Electric Avenue by Eddy Grant, which I had not heard in a LONG time. These first 4-miles were quite hilly, but my legs felt much better than I expected after the disastrous track workout on Thursday night. Dan had to remind me not to push the pace, since the goal today was simply slow, easy miles. After grabbing a quick drink back at the cars, we did a second 4-mile loop on the Shelby Bottoms Greenway and Barclay Drive, and my legs continued to feel really good in the mild conditions. After this loop was completed, Nathan and I were at 8.5-miles in total. My schedule called for 12-miles, but there were some members of the group that were going to do as many as 8-miles out-and-back on the Greenway for the third part of the run. I knew I didn’t want/need 16-miles, but my legs felt good enough that I suggested to Nathan we try to do 2.5-miles out-and-back to end up with a total of 13.5, which would be my longest run since the injury by over 3 miles. This is exactly what we did, and I felt strong all the way to the end. We even dropped below 8min pace for the final 1.5-miles. This run was a BIG confidence boost after a rough track workout on Thursday night. 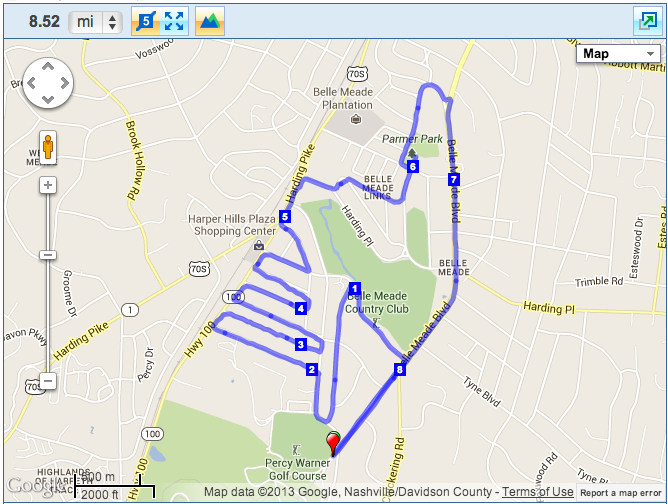 In total we completed 13.56-miles with an average pace of 8:52 per mile. Perfect long run! For the week, I got in just under 38 total miles. Slowly building my way back up. On a side note, I’m still having some problems with my left hip after tweaking it earlier this week. However, it continues to feel better as I run on it, and doesn’t affect my stride, so I’m going to try and train through it unless it gets a lot worse. 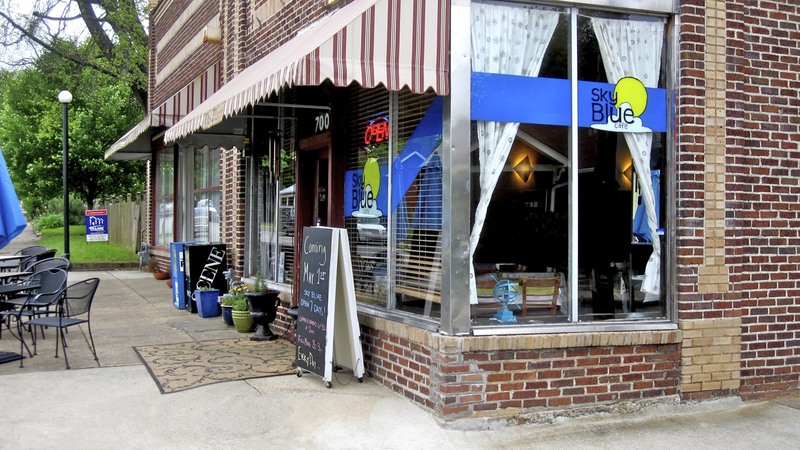 After the run, our group had an awesome breakfast at Sky Blue Cafe in East Nashville where they have Trivial Pursuit question cards on the table. It was a lot of fun taking turns on the trivia questions.